Show off the beauty of the Old North State while promoting your fabulous local event! 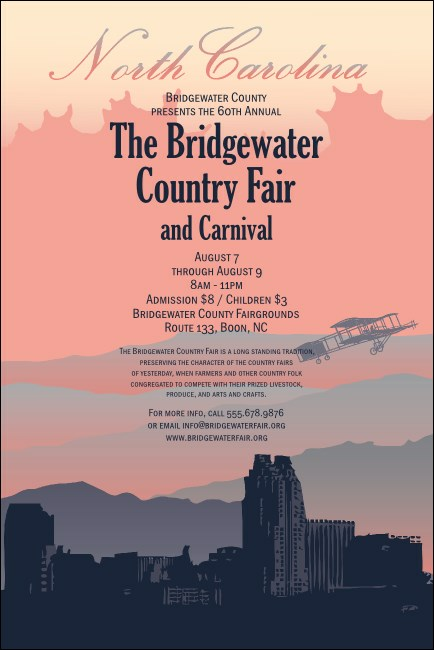 The big North Carolina Poster has images of the Smokey Mountains, a city skyline and an airplane. Each poster has ample room for your information. Round out your promotion with a Matching Event Kit from TicketPrinting.com.